Nearly 50 years ago, I attended my first art exhibition at the Worcester Art Museum. At the age of 12, I had already become quite fond of neon through its use in our many dining cars and a few captivating buildings that always called out in the night. That first show, “Light and Motion,” introduced me to a new way of seeing light – and art – that would grow over the years and lead me to where I am today. I was able to celebrate that anniversary just prior to us going to press by reviewing WAM’s latest exhibition, “Reusable Universes: Shih Chieh Huang,” which utilizes the recent rapid development of LED lighting in everyday living to present a sensory experience that I hope will resonate with museumgoers in a similar fashion. While I was visiting that show, longtime Artscope contributor James Foritano and his wife, Maddy, were exploring the newly opened Amazing World of Dr. Seuss Museum at the Spring eld Museums. This incredible collection of archival materials from Ted Geisel’s early career — and his many books that taught us, “Oh the Places You’ll Go!” — are joined by statues and artwork intended to recreate “Whoville” and “Mulberry Street.” I hope Foritano’s tour of the new facilities will inspire you to load family and friends into your car and go on your own Western Mass. adventure this summer. Over the past decade, many communities have used public art installations and sculpture to improve the image of their cities and towns. This year, at Art Basel Switzerland, many sculptures from decades past made a reappearance, both on the sales floor and in the city’s public parks and squares. Nancy Nesvet points out some of her favorites in her review of the best of Art Basel 2017 that also captures the mood of what it’s like to be in Europe during these rapidly changing times. Sculpture gets a lot of attention in our pages this issue. 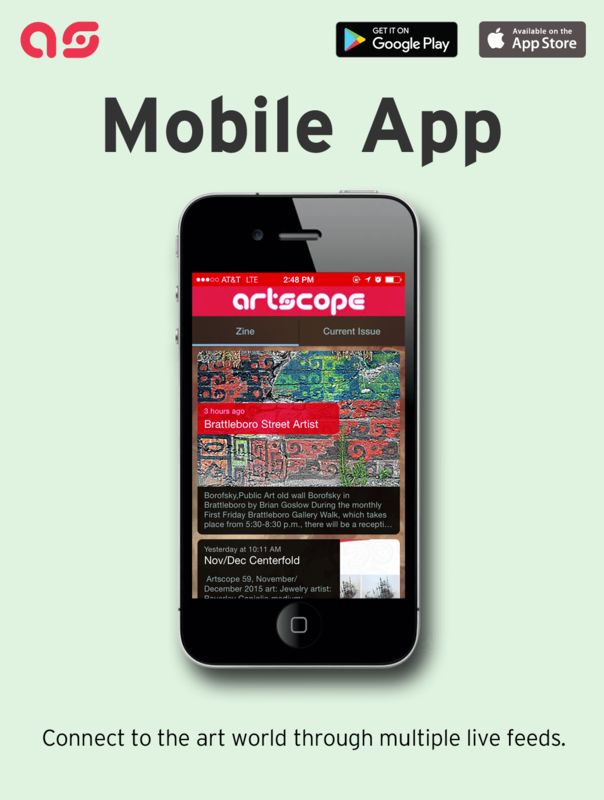 Artscope is proud to be a media sponsor for the grand opening of the David. E Shaw and Family Sculpture Park at the Portland Museum of Art on July 7, featuring “A New American Sculpture, 1914-1945: Lachaise, Laurent, Nadelman and Zorach” as part of its “Summer of Sculpture.” Jamie Thompson explains why this is a show that sculptors, especially, won’t want to miss. Tom Soboleski has been campaigning for months to make sure that the Summer Sculpture Showcase at Gil Boro’s Studio 80 + Sculpture Grounds in Old Lyme, Connecticut would get coverage. I’m glad that he did because not only does he cover the work, but also the background of their creation through the words of each artist. At the same time Nesvet and Artscope publisher Kaveh Mojtabai were attending Art Basel, Leora Maltz- Leca, associate professor of contemporary art history, art and visual culture at Rhode Island School of Design and the newly appointed curator of contemporary art initiatives at Redwood Library and Athenaeum in Newport, Rhode Island, was in Greece and Germany attending Documenta 14, an event that writer Suzanne Volmer declares, “the art-world’s version of a G-8 Summit.” Volmer “Cornered” Maltz-Leca for a definitive interview on a gathering that will play a significant role in the exhibitions that we’ll be seeing over the next five years. It’s become a much-awaited tradition for us to get a preview of the best shows of the summer season by Provincetown writer (and year-long resident) Laura Shabott; her tour down Commercial Street is complemented by a look at the two “Budd Hopkins: Full Circle” exhibitions that open in late July at the Provincetown Art Association and Museum and Berta Walker Gallery Provincetown. Concord, Mass. always makes for a great day trip; the “Summer Show” at Three Stones Gallery featuring Jennifer M. Johnston, Brenda Cirioni (whose ongoing “Barn Series” has been a personal favorite of mine for many years now) and Siri Smedvig should be reason enough to visit. As you can see, we’ve packed these pages with plenty of art adventures for the months ahead, striving to be as timely as deadlines would allow. I hope you enjoy reading this issue as much as we’ve enjoyed putting it together to celebrate the galleries, artists and museums of New England. The articles on the website are previews. To read them in full, find a pick-up location near you, download our app, or check out the Tablet edition.